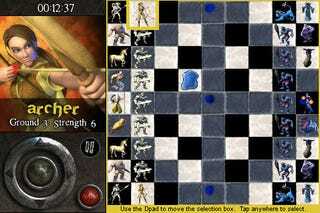 The iPhone version of chess classic Archon will be getting major updates every week for the next couple of months, the developer tells Kotaku. The latest update to hit the App Store for the game for free includes plenty of fixes and tweaks as well as newly enhanced AI settings for the game. I'm told future updates will include feature requests from the game's forums, visual enhancements, and multiplayer. The game is also getting a free lite version this Monday. To tide you over, here's a batch of new codes that React Games sent our way for the title.